Members of the public may visit the event on competition days, May 28 and 29, free of charge and are not required to register. Skills/Compétences Canada invites youth groups from Nova Scotia to visit the Skills Canada National Competition. Spend an unforgettable day discovering skilled trade and technology careers!. 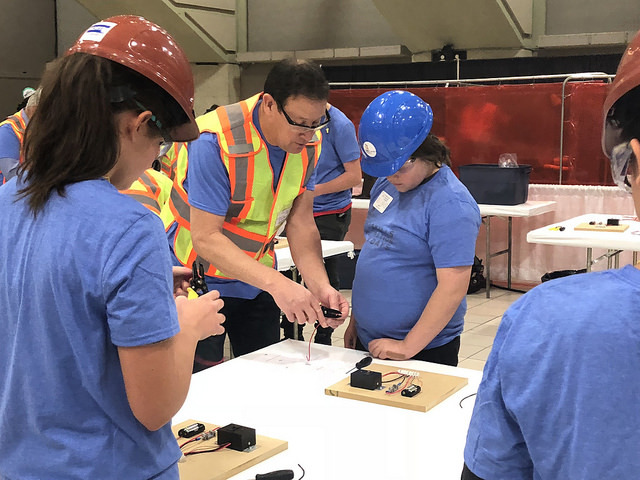 If you are interested in contributing your time, energy and positive attitude to the Skills Canada National Competition 2019, click below. If you encounter any difficulties using the online registration system, please contact Skills/Compétences Canada at registration@skillscanada.com or 1 (877) 754-5226 ext. 504 and we will assist you in completing the registration. Copyright © 2003-2019 Skills/Compétences Canada. All rights reserved.